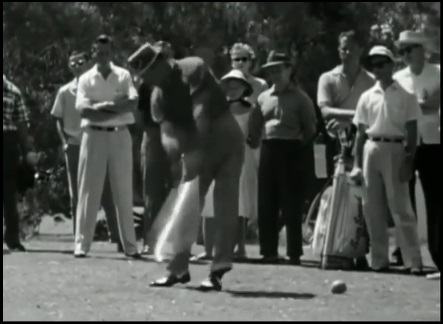 So when I reference a part of proper swinging with Jack Nicklaus or Ben Hogan, even Byron Nelson, people get it and if what I’m showing proves my point, they tend to take it as more credible than someone whose name they don’t really run across much, like Dunaway’s. 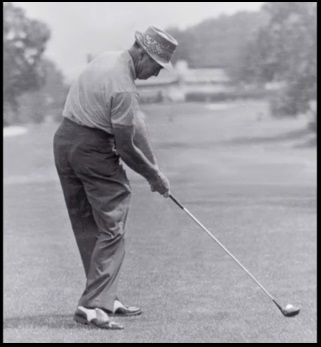 However, I’m sure the name Sam Snead will ring a bell, and if it doesn’t, then I don’t know what to tell you, because Sam was one of the triumvirate of Ben Hogan, Byron Nelson and himself, all born in the same year and all greats of the game – he won more events than anyone in history and more majors than Nelson, in addition to being the oldest ever winner on the PGA Tour at 52. Even more incredibly, he was self-taught, and that should tell you something when you see that his swing model was probably 90% of what MCS is. Someone who learns a swing and who has a great swing – is going to be mechanically-correct in their action because they weren’t taught by voodoo witch-doctors, with all due respect to voodoo witch-doctors. 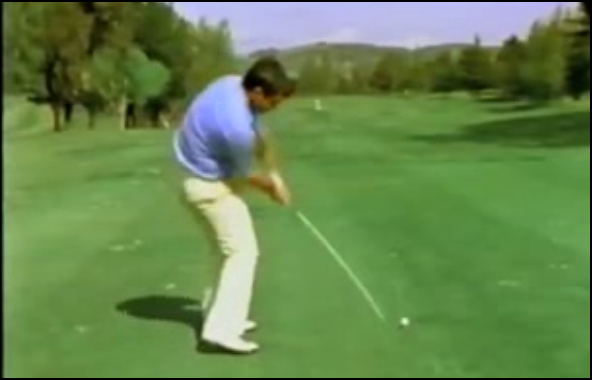 That trailing heel would actually be perfectly flat even with the driver impact but for the fact that Snead had an angled stance with the driver – the shoulders are square, and compare them to the foot-line, the angle causing the tiny heel lift. It’s the optimal way to leverage the club down, folks – you can have a high impact trailing heel, that won’t make your swing mechanically-unsound or bad – it just isn’t the optimal way, and the optimal way beats every other way, because it’s optimal. I used to have a tendency for a pull to sneak into my round and keeping the trailing foot flat through impact has eliminated that. My pleasure as always, Chief! 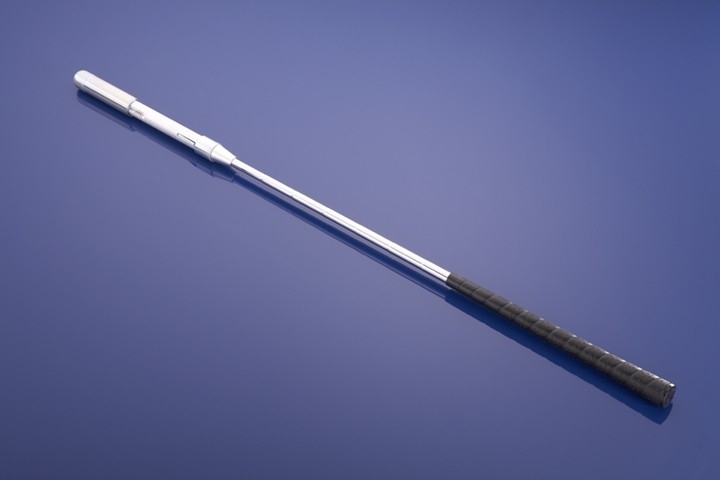 I have a completely flat trailing heel at impact, and usually only after I release the club fully does it come up. I release the club so freely (since I’ve kept that heel down) that it’s hard to not generate leverage. I’ve always told people to keep the heel down through the ball, and they’re like, “that’s not what JT is doing, or Tiger…” and I kept reminding them how terrible both of them drive it. He actually didn’t, MMJ – if you watch closely, Snead’s head drifts slightly forward on the transition then drops down and back into the impact, and that was an iron. Good eye, BR – Snead played a pull-fade, so it looks to you exactly what he was doing. I actually used to play a huge pull-fade because of my own OTT move. I would aim dead at the target, ball would start left and fade back to the target.